Experience the northern part of India as you embark upon your spiritual journey to the best of the temples in the North. 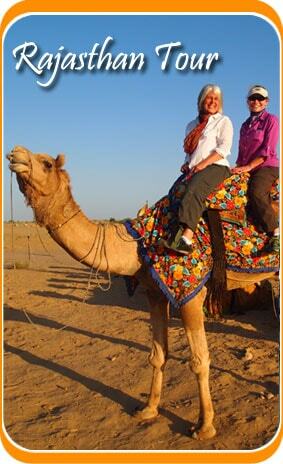 This trip would include places like Delhi, Haridwar, Rishikesh, Varanasi and Agra. Travelsite India has kept in mind all the requirements of a backpacker like you and has created this North India Temple tour package with utmost care. Have an enlightening journey ahead!! Excursion to Agra Fort, Taj Mahal etc. Start your day by moving to Delhi and visiting places like India gate, Parliament house, Laxmi Narayan Temple and the Swaminarayan Akshardham Temple. After lunch, visit the Qutub Minar group of monuments and the Chhatarpur Temple. Stay at the hotel for the night. Today we would board a train to Haridwar. As you reach there you will be escorted to har-ki-Pauri and other religious tourist hotspots at Haridwar. Then we will proceed our journey to Rishikesh. Check into the hotel and then go for evening Arti at the ghats of Ganges. Stay for the night. Board a train from Haridwar Station to Varanasi, today. Varanasi is one of the most important tourist spots of the world because of its cultural grandeur. Overnight journey in the train. As you arrive at Varanasi, check into the hotel pre-booked for you. The rest of the day is at leisure. Enjoy the markets and the local vicinity of the place. Stay at the hotel for the night. On this day we would start a full day trip to the city Varanasi. Cruise over to the holy waters of Ganga and take a trip to Sarnath which is an important Buddhist site. Sarnath includes a visit to the Stupa, Buddhist Temple and the Museum. In the afternoon we will visit the Bharat Mata Temple, Durga Temple, Aurangzeb mosque and the Benares Hindu University. Stay at the hotel for the night. This morning is free to do what pleases you. In the afternoon, proceed to Varanasi railway station and then board a train to Agra. As you arrive to Agra, check into the hotel pre-booked for you. 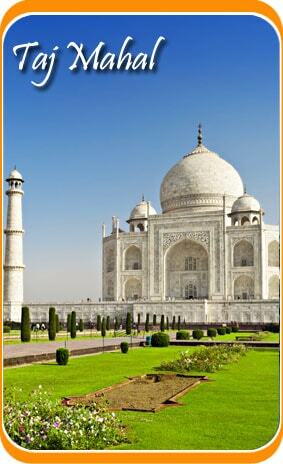 Later we would explore the sites at Agra like the Agra Fort, the Itmad-Ud-Daula tomb and the beautiful Taj Mahal. Stay at the hotel for the night. Today we would embark upon a journey by road from Delhi to Agra. As you reach Delhi, check into the hotel and then explore the Chandni Chowk and the Connaught Place. Have dinner and board a flight to your home country as you North India Temple Tour ends here.